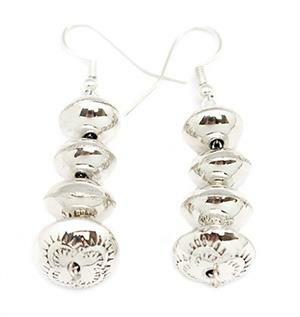 Sterling silver 4 graduating size bead earrring. Bottom bead has stamping on top and bottom. 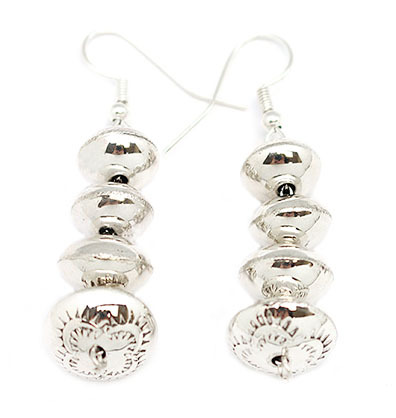 It measures approximately 2" long including silver plated french wires by just over 1/2" wide at widest bead. It is Navajo hand made and crafted by Angeline Miller. Currently only this one available.